Get students inspired between 11-17 February by downloading and sharing some of our useful assets for Student Volunteering Week. This is a great opportunity to get young people engaged in volunteering within their local community while gaining valuable skills and experience that can be transferred into a workplace. Becoming a volunteer can also provide great personal satisfaction and help form long term friendships. 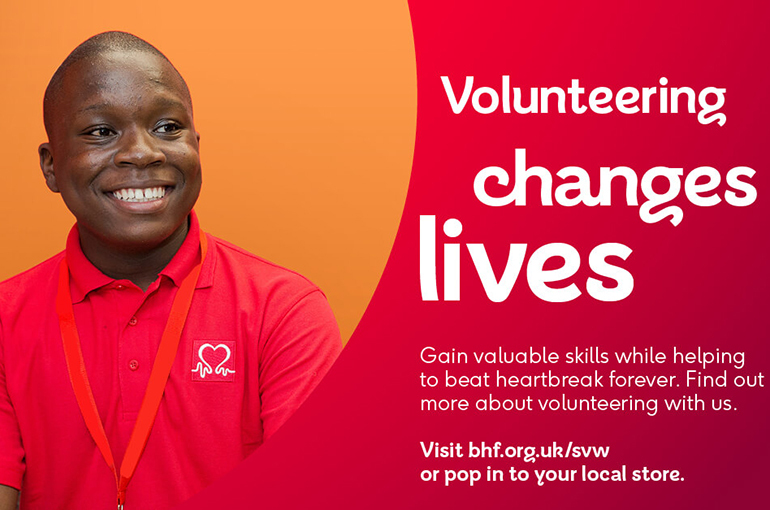 Please feel free to use these assets to help communicate volunteering opportunities with the British Heart Foundation to your students. If you are a student, get involved and register your interest to volunteer today!